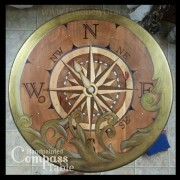 Truly one of a kind, Amerigo is a classy piece of art and a stunning statement piece. 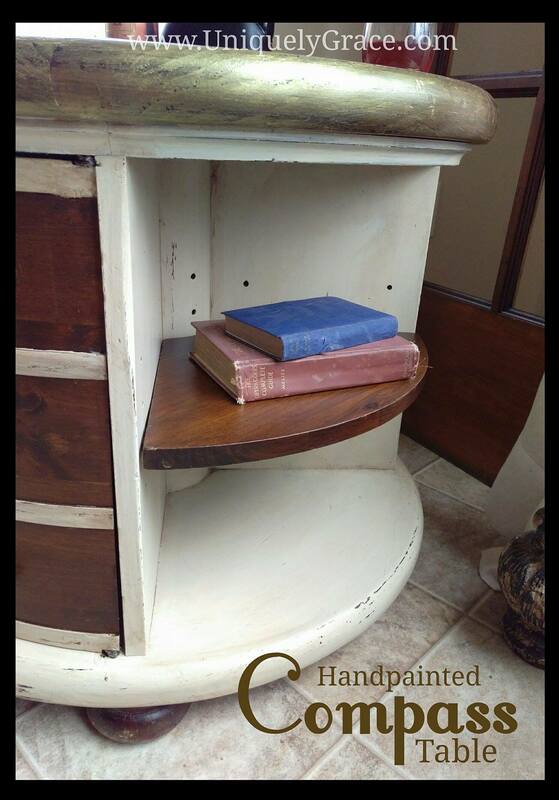 He is a library table with 360 degree access, fully functional accent table with storage and a beautifully designed and hand painted table top. 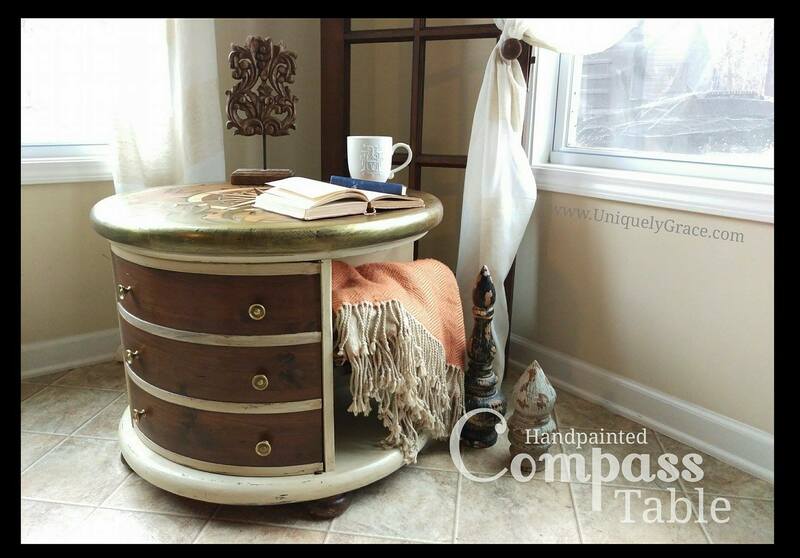 Truly one of a kind drum AKA: Library Table, Amerigo is a classy piece of art and a stunning statement piece. 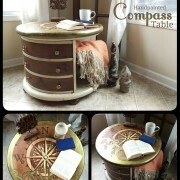 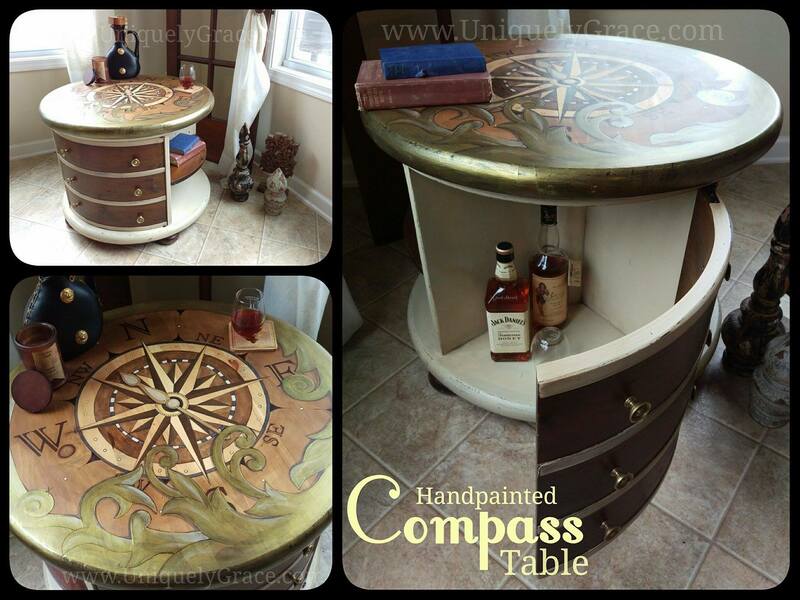 As a Compass Library Table he is a functional work of art. 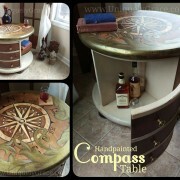 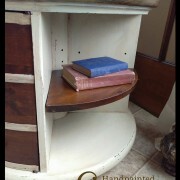 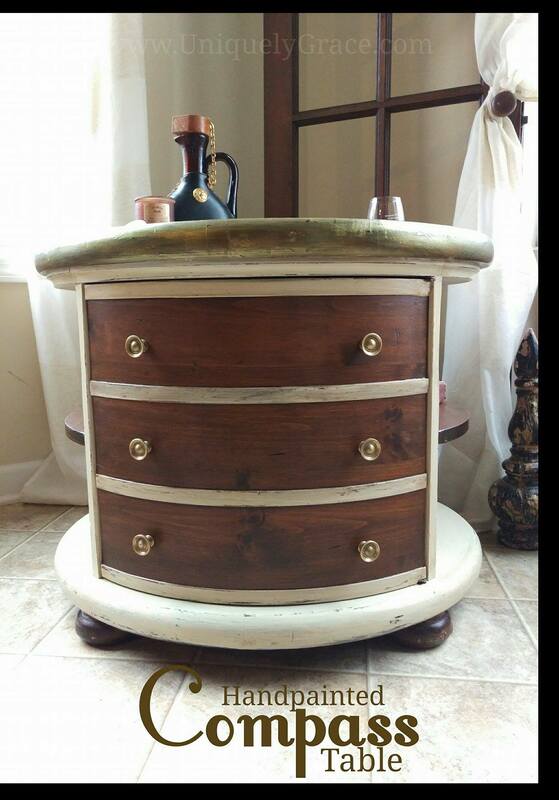 He has 360 degree access, fully functional accent table with storage and a beautifully designed and hand painted table top. 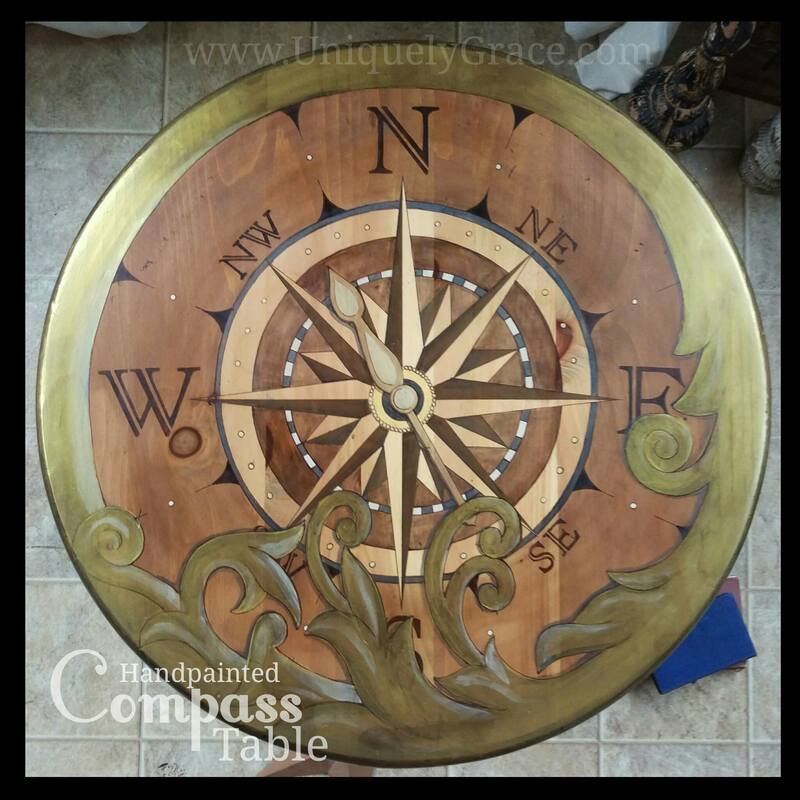 – partially stained table top embracing the wood grain and natural elements of the wood. 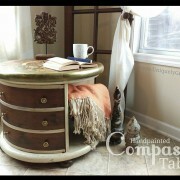 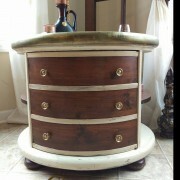 -The finish is a vanilla cream with light distressing and hazelnut antiquing. 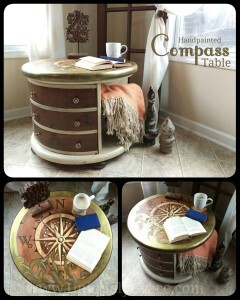 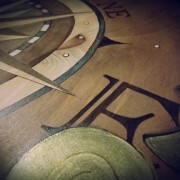 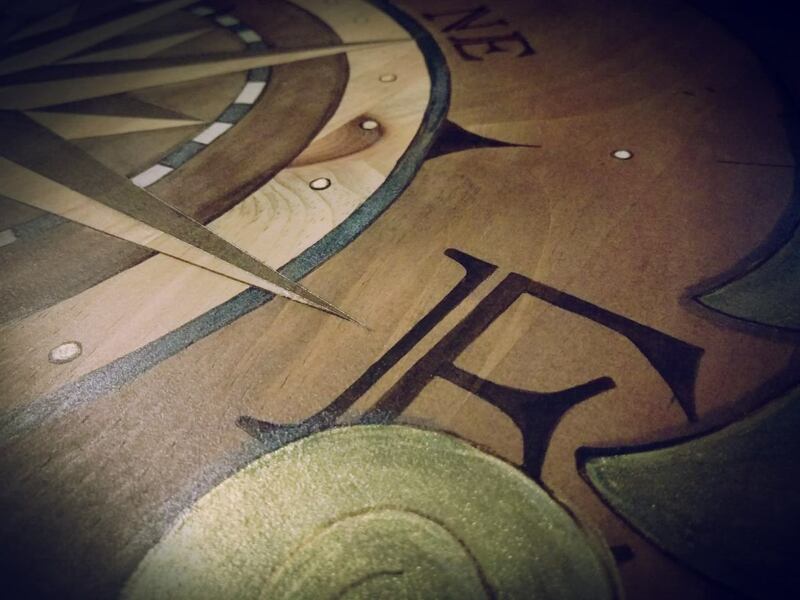 – The compass is a stained art piece accented with the vanilla cream highlights and framed in metallic shimmer golds.